Part of the consideration for architects is the environment in which their structure is going to be, and how it interacts with other buildings and structure in its setting. 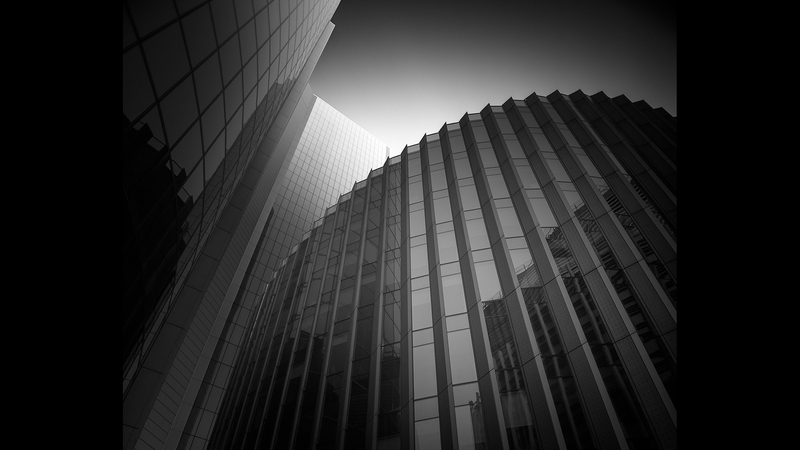 This image is a great example of how the shape and reflective surfaces of a building can interact with neighboring buildings which also feature reflective surfaces. Simplifying the presentation is the form-enhancing rendition of a monochromatic image.